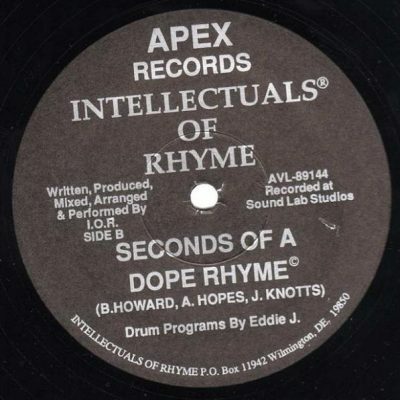 Beats and rhymes come in many shapes and forms, the forgotten more often than not those that sound fresher when rediscovered. In the second part of Tuck Magazine’s alternative Hip Hop compilation we revisit a further twenty important gems that just itch to be scratched and heard. 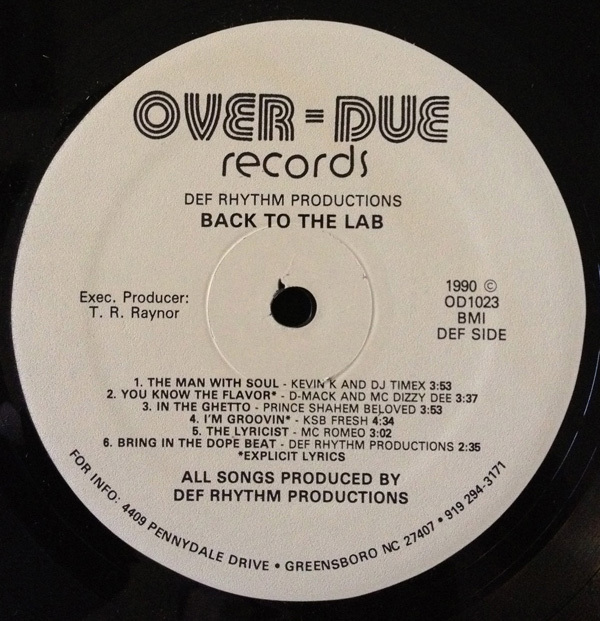 Join us then in part two of Oldschool Hip Hop’s ‘Less Obvious: An Alternative Best Of’………. 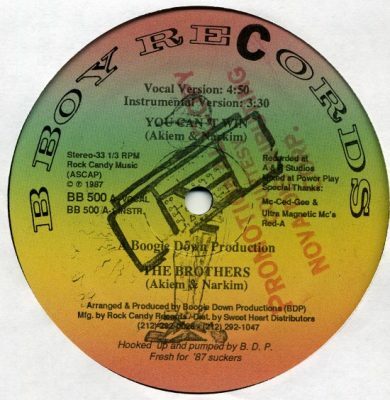 For the first in our collection we dive straight into the boogie down Bronx as we feature The Brothers in their second and final release on the legendary B-Boy label. Reportedly featuring the production duties of BDP this rocks from the outset as Narkim raps with passion on Akiem The Rhythm Maker’s beatboxing prowess. 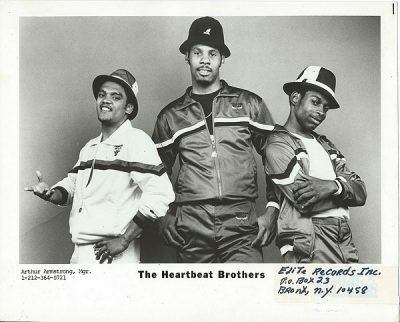 Bursts of Heatwave’s ‘Ain’t no half steppin’ blend with the hardest of human and mechanical beats as The Brothers follow up their earlier ‘I got rhythm’ single with a bare to the bone and, for my mind, harder sound. 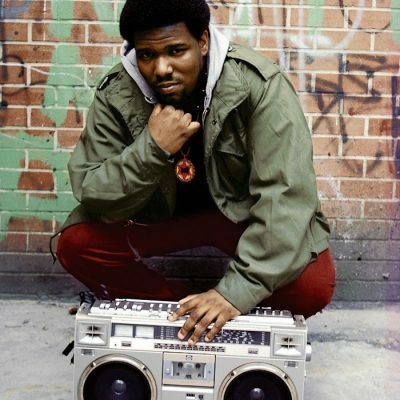 Very much back to basics and so much better for it, hip hop in its truest sense. Here we have a fairly obscure but bitingly fresh single release from the G Force Crew. Hailing from Jackson, Mississippi the crew of Tony T and G Ski rap with true oldschool bravado over a funky synth led rhythm. Scratches flash over boogying beats as the duo tell the tall tale of meeting a certain Mr Magic, likening him to a gigolo, even. 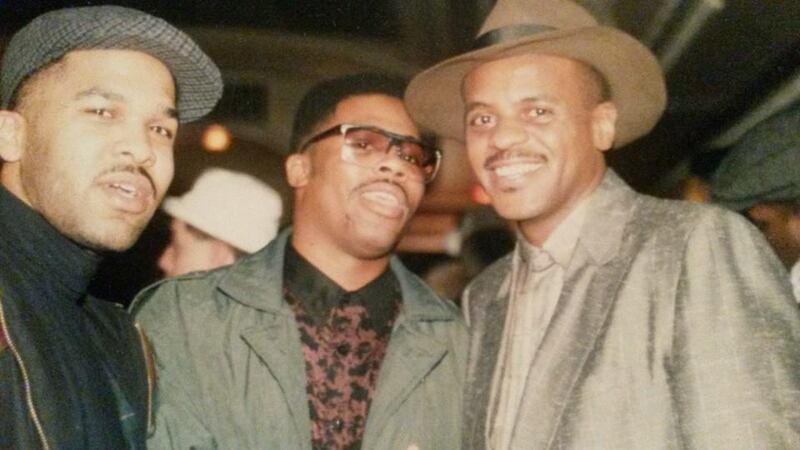 Much fun is had throughout and is a fine reminder of what hip hop once was. Raw beats are at the centre of this side of wax as Boston’s TDS Mob break free from the ordinary. MC Kool Gee, backed by his two DJs breathe humility through rhyme as stereotypes are adopted to be true. Using the rawest of beats from Grandmaster Flash’s live ‘Flash it to the beat’ bootleg, where he rocked the world using a 70s Vox Percussion King drum machine, this hits hard, leaving all trailing behind. 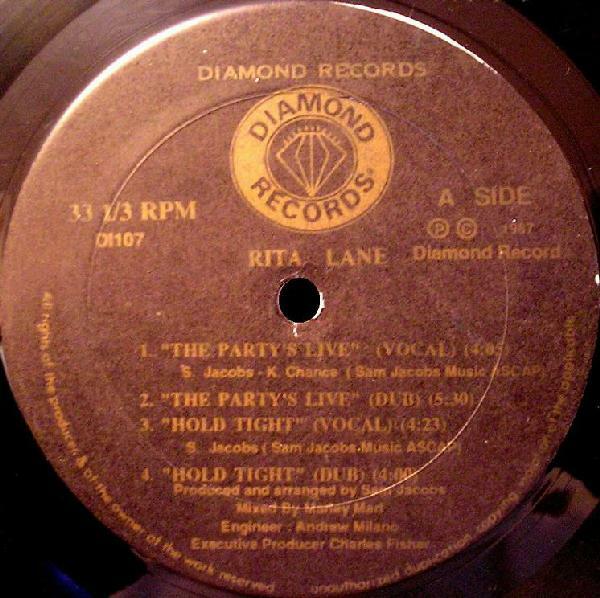 One of only two singles the crew recorded, earlier unreleased cuts were thankfully later reissued to equally great acclaim. Bounce along to the beat. 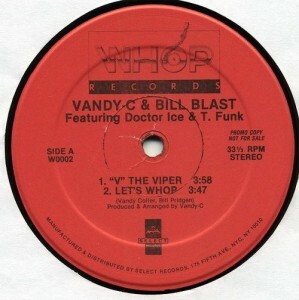 Famous in oldschool circles but relatively unknown elsewhere, producer and radio DJ Vandy C rocks with this early and innovative cut. 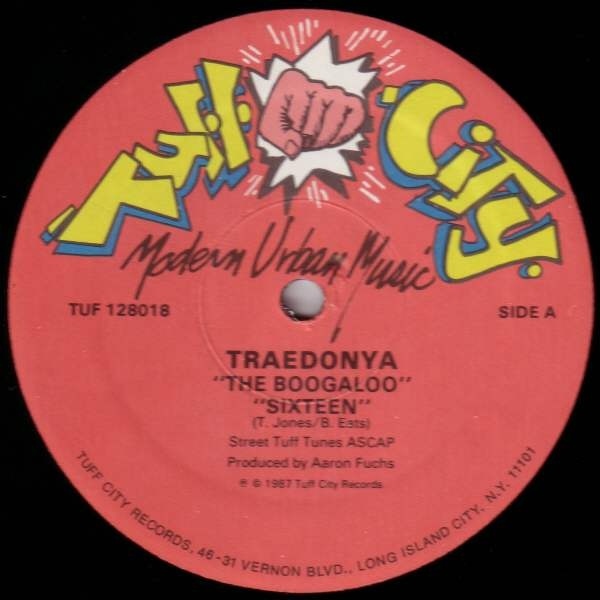 Aaron Fuchs’ legendary Tuff City label hosted many early and innovative hip hop jams, Spoonie Gee, Davy DMX and the Cold Crush Brothers paving the way for later major releases from the 45 King and Lakim Shabazz among others, but important as they were, nothing was as funky as The Boogaloo. 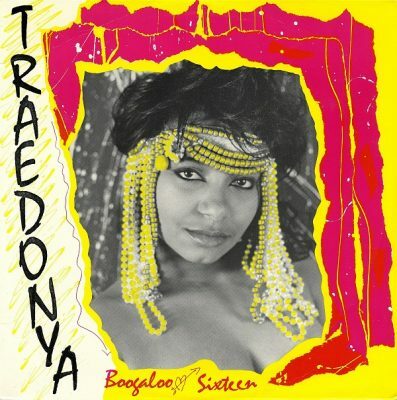 Reportedly only thirteen years old when recorded, Traedonya began her career with this raw slice of exploding wax. Utilising the services of oldschool producer and drummer Pumpkin, this is a natural jam controlled by the funky beat. Synths punctuate and highlight the rhyme, delivered confidently by our MC as this is a rare and unmissable release from the days when rhythm dictated. One of the frequent gripes about music is that when you discover an outstanding record, you are often bewildered as to why that artist didn’t record more. This, the first of only two releases by the then seventeen year old New Yorker Rita Lane is a striking example and is an absolute classic. 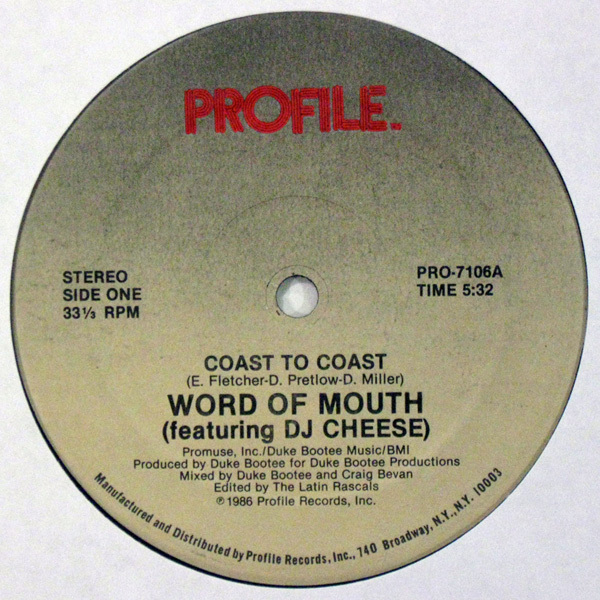 Famously mixed by the legendary Marley Marl and featuring the production duties of Sam ‘MC Holiday’ Jacobs, the record starts with steady beats before the staple sample lines of Sweet Tee and Eric B kick on for Lane’s vocals to kick in. Sounding low in the mix, more obscure and better for it, this is a revelation in itself and is pretty much a love it or hate it record. Receiving a fair amount of airplay in Europe and the US on its release, this should have been bigger but can now be enjoyed and respected as one damn fine record in its own right. Another lost classic is found in the form of Manchester’s Ruthless Rap Assassins and their combined cut with sister crew Kiss AMC. 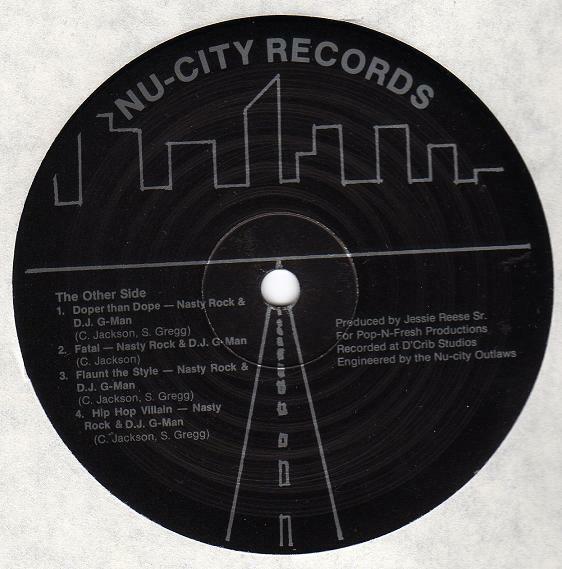 Originally the B-side of a numbered twelve inch promo through DJ Greg Wilson’s Murdertone label, this is the rare original version that gained a great deal of airplay back in the day. Why this didn’t get a full release given the exposure and respect it had remains a mystery but this is hip hop true to the bone. Christine Leveridge and Ann Marie Copeland (AMC) cover most of the lyrical duties with initial input from their brother crew as staple samples are scratched to a hard hitting beat. A killer chorus features throughout that aches to be heard by more. Kicking off with a beat steeped in funk filled menace, the B-side here wins again. 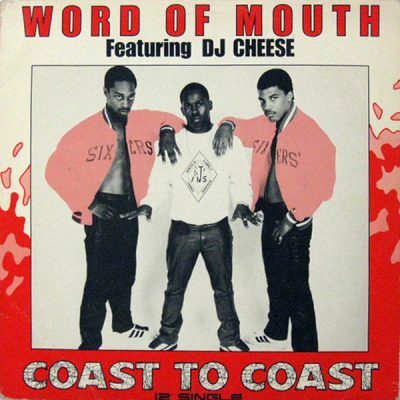 From Wilmington, Delaware, Joey Juggaknotts along with DJ Dre let their true intentions be known on this stormer from the late eighties. 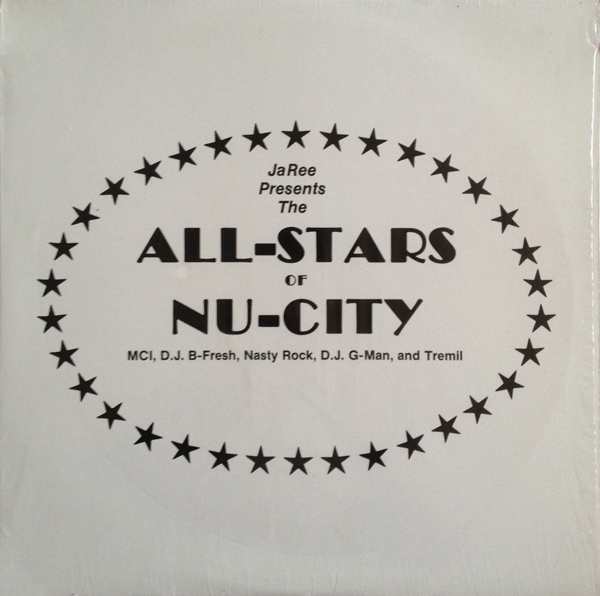 The sole release from the IOR crew , this lived on through being featured on a compilation of local rhymes, its strength still evident today. Roll to the sound of music with passion. One of hip hop’s most hard hitting and respected single releases of the late eighties comes from Long Island’s original incarnation of the Kings of Pressure. 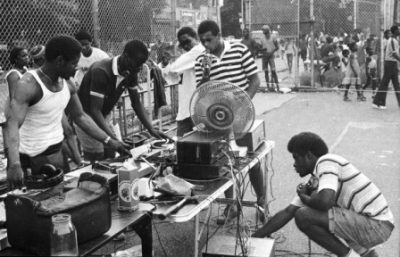 Famously featuring the duties of Public Enemy’s later known Bomb Squad production crew, Eric Vietnam Sadler programmed the rocking beats as DJ Johnny Juice provided the scratches, Double D, Cracker J, King A and Boogie Breeze licking lyrics. 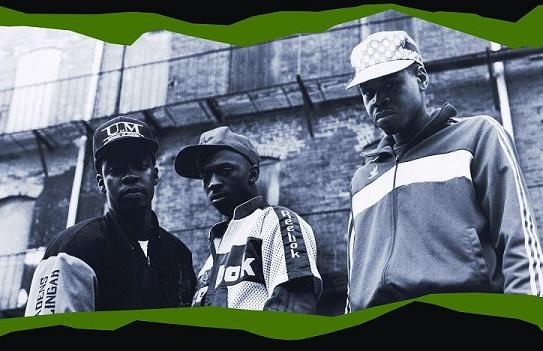 This is one solid tune that stands the test of time, from the infectious bleeper throughout to strong and impassioned rhymes, add to this the sample of Pleasure’s ‘Bouncy Lady’ and freestyle beatbox towards the end and you have one hell of a record. 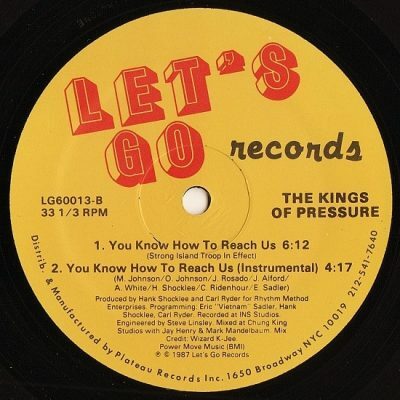 Released on the Let’s Go label, a subsidiary of Next Plateau, an album followed a year later but, due to a drastic change of personnel and apparent eagerness of a major label to cash in, could never reach the raw heights that ‘You Know How to Reach Us’ once did. 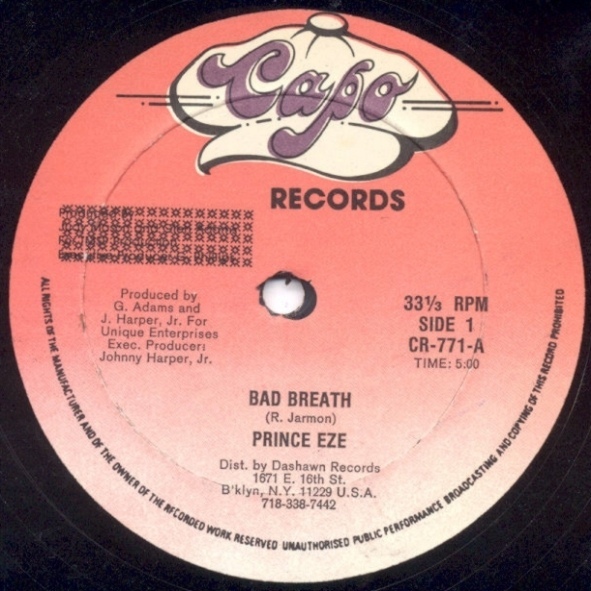 Next we have a rare independent release by Prince EZE on the New York Capo label. This was the artist’s first of only two singles, a four year gap and different label separating them. Being true in spirit to the year of its release, a sense of fun flows through as EZE raps on the perils of the dreaded bad breath in society. Utilising Cat Stevens’ ‘Was Dog a Doughnut’ to smart effect, alongside block rocking mid eighties beats, this is another that could quite easily have crossed into the mainstream had it the sufficient luck and promotion. 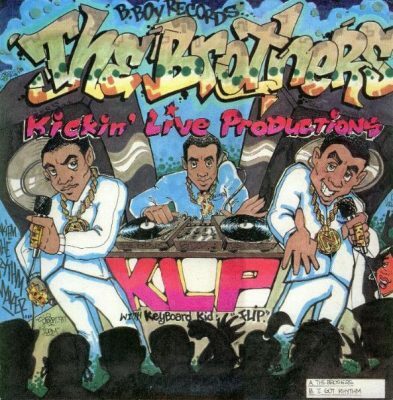 Enjoyable from beginning to end this is a fine reminder of the fun that could be had in hip hop. Another stormer of a cut that gained a wider audience and due respect following the untimely death of its producer Paul C.
This, one of four singles from the Brothers, hits you straight from the start as Curtis ‘Superfly’ Mayfield’s ‘Freddie’s Dead’ is resurrected to dizzying effect, the beats then beefed up further for fierce rhymes to blind the already spinning mind. 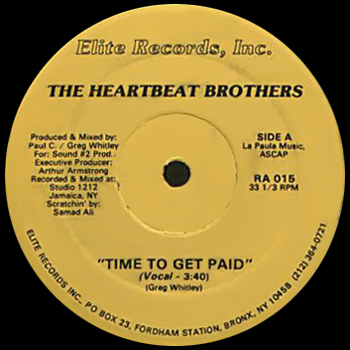 ‘Time to get paid’ is yet another glaring example of a record that can stand toe to toe with the best of them and certainly deserves to be heard more accordingly. 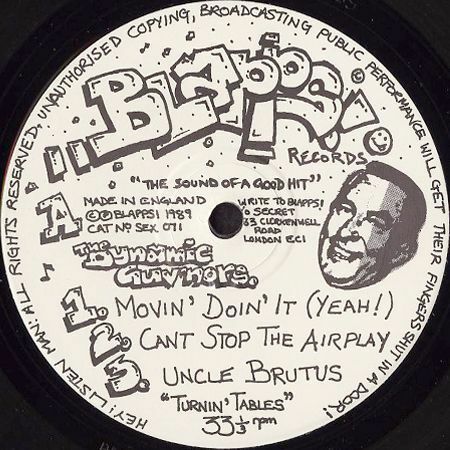 An earlier incarnation of the Blapps Posse, Jason Carter’s Dynamic Guvnors, alongside Dazzle Dee, MC Untouchable and Aston Harvey, provide the basis for no nonsense rocking. Hailing from London and recording on their own label, the crew rip through uptempo beats with JB scratches and 303 warbles, creating a new sound that influenced many. Essentially staying true to themselves, adding a piece of their own love of music, the posse stayed ahead of time and still sound unique to this day. 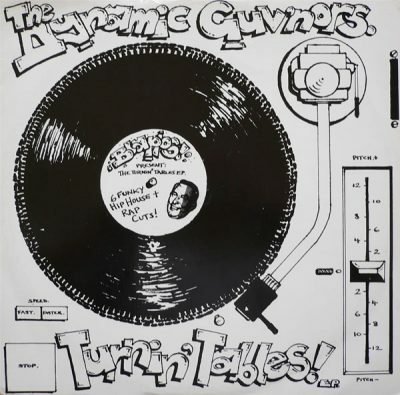 This was the second release from the Guvnors, in the form of a six track EP, future releases mixing house, hip hop and acid to form a fresh and fierce sound. 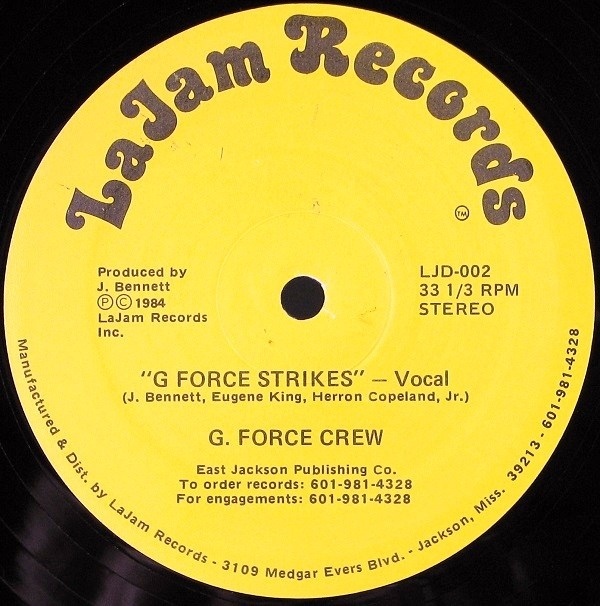 A rarity here but one cited early in the history of New Orleans Bounce, given the crew and label’s origin. Scratching Bob James and Trouble Funk over deft transforming and biting beats, the Def Boyz make their one and only vinyl outing and leave those lucky to have heard it, eager for more. 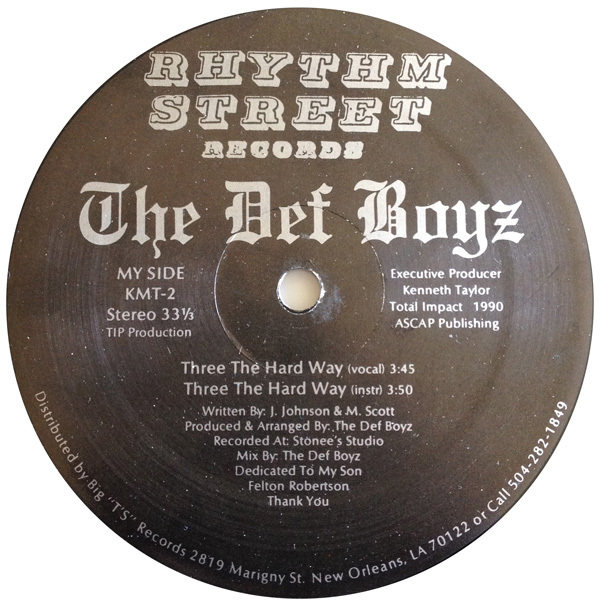 Local legend DJ Ice Mike famously produced this raw slab of wax as the Boyz deliver a hard hitting rhyme true to their roots and reminiscent of the late eighties. 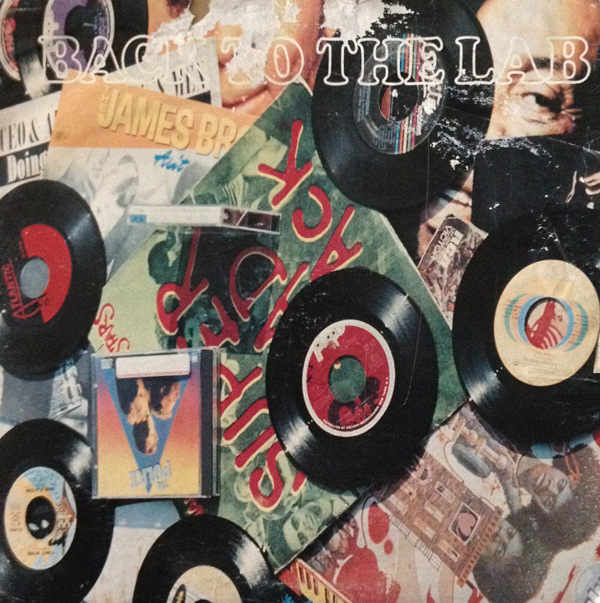 The label dates this as 1990 but appears to indicate when the record was pressed and released, two years after being recorded. Yet another in the history of obscure records that needed to be heard more, this one more than stands the test of time. Starting with Bambaataa’s vocoder, beats kick in for the Cosmic Force to rhyme and harmonise on this ridiculously rare cut. 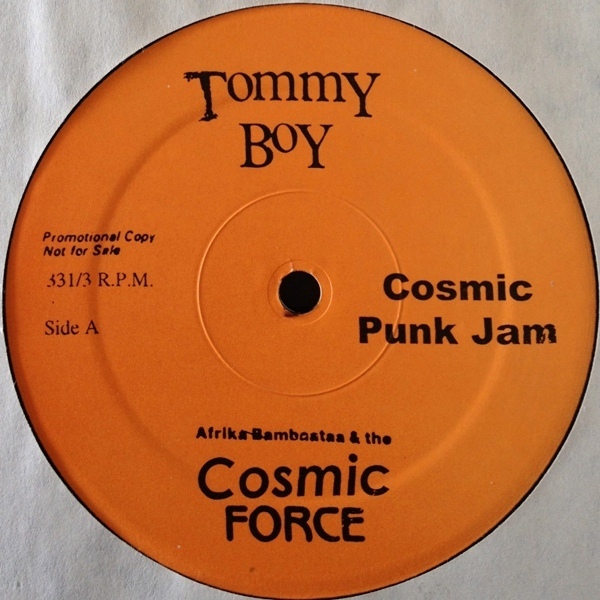 Originally recorded for Bam to play at clubs, never intended for commercial release, this has already gained mythological status in its own right. 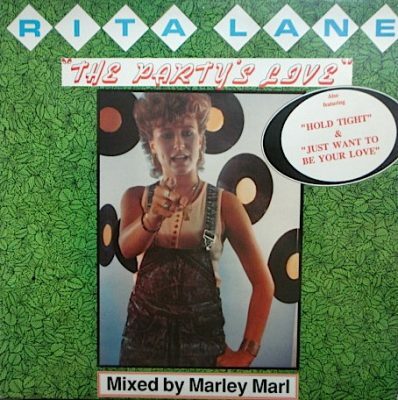 The record was professionally mastered for said use, this version being a dub from the reel to reel tape which escaped onto a limited bootleg released seventeen years after the original recording. Lisa lee, MC Sabu and Baby Biggs are those involved here, rhyming in time to beats that predate Planet Rock and a Michael McDonald melody. 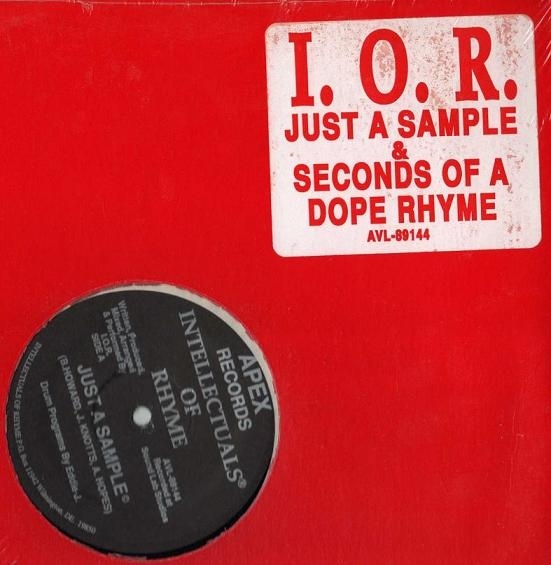 This is hip hop at its finest and unnaturally poses the question: How many more such unreleased gems are out there?! 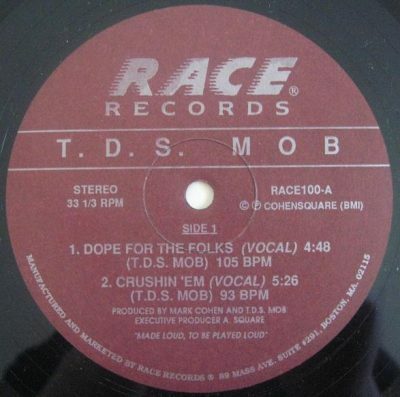 An incredible record that all true B-Boys should know and love. Word of Mouth was a two man crew from New Jersey consisting of KMC and Original G. They only cut two records and were privileged to have the technical genius of the one and only DJ Cheese on board for each. 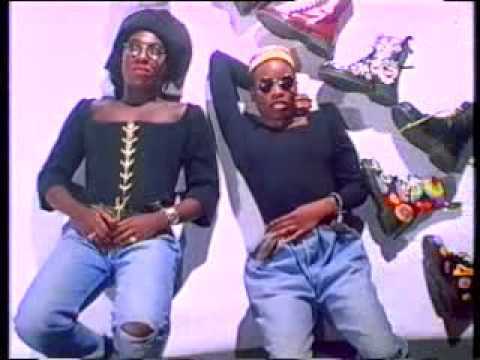 Add to this the unique production of Duke Bootee and you can never go wrong. From the opening ‘listen up’ chant, beats bounce along as samples squelch to the continual stabs of Funk Inc. 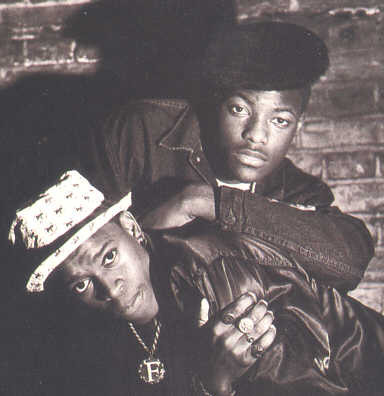 The duo’s rhymes are confident and catchy and cry to breakthrough to a wider audience, but despite being the second of their releases it ultimately proved to be their last. Cheese reportedly had the opportunity to join other famous crews but stayed loyal at the time to Word of Mouth and their recordings, including the seminal ‘King Kut’ before this, both remaining locked in the vaults of all time classics. Not much appears to be known of Nasty Rock, which only adds to the mystery and charm of this delicious piece of wax. 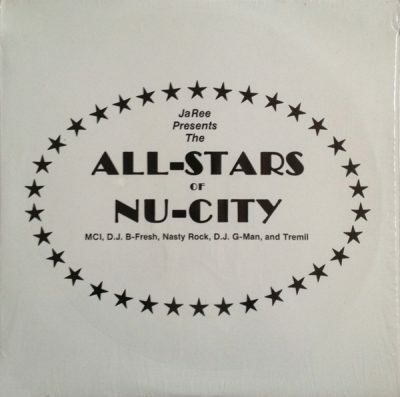 Featured on the obscure ‘JaRee presents the All-Stars of Nu-City’ compilation hailing from Longview, Texas, this is early gangsta rap at its purest. 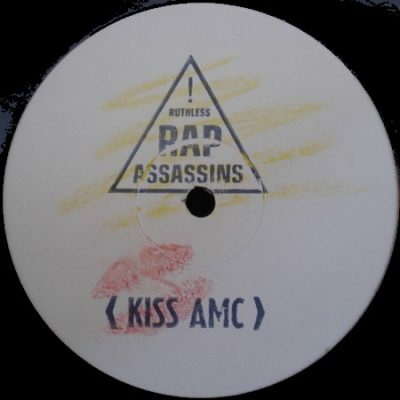 Raw production here fine tunes the mind as three minutes buzz along in true oldschool Knight Rider mode, reminiscent of early West Coast synth but with a flavour all of its own. Add to that an out of control drum machine that rat a tat tats to the sound of a verbal trigger and you have one hell of a loaded cut. 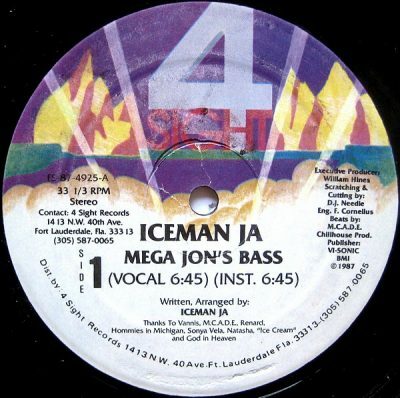 Iceman Ja, otherwise known as John Hamilton, here provides us with a classic side of Miami bass. Originally from Detroit, Iceman made a name for himself by appearing on the Florida based 4 Sight label where he cut three numbers on one twelve inch single that blew people away. Opening with Mega Jon’s own call, Roland beats kick in and dance alongside Kraftwerk’s ‘Numbers’ before synths sneak in to provide a road for the MC’s own prophecy. Some records can instantly be identified by the year of their release and this is certainly one that falls into that category, much to its credit. Many of the recordings from ’86 still maintained a magical innocence and DIY ethic of untouched genius, this being no exception. 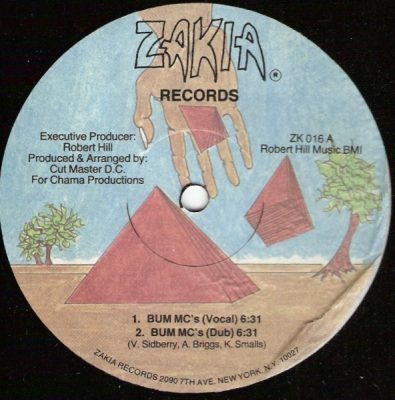 Boasting the production skills of the legendary Cutmaster DC, New York’s Zakia label hosted the third single from The Maniacs, this far superior to those that came before. Taking no shorts, the crew rap with a vengeance over 808 beats as a menacing synth undulates throughout. Add to this early transformer scratches at intervals and you have an instant and worthy classic. 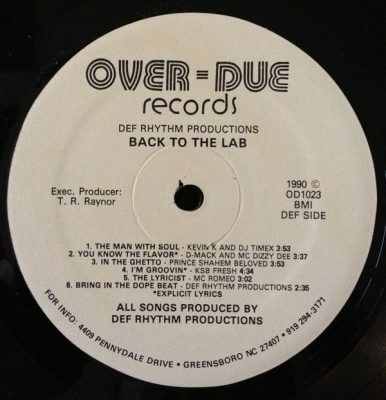 Featured on the frighteningly obscure ‘Def Rhythm Productions – Back To The Lab’ compilation LP out of Greensboro, North Carolina, KSB Fresh makes his mark in classic style. 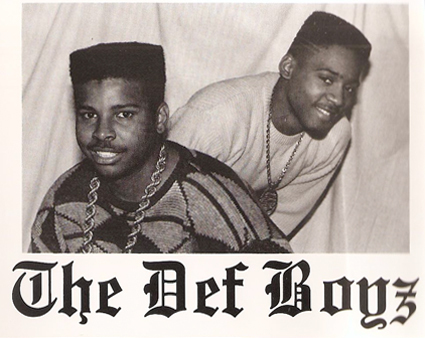 Originally from New Jersey, Sean ‘KSB’ Blaylock was one half of the B.A.D. Rep crew with Dizzy Dee, releasing one single on Payroll Records, only to resurface a year later on this various artists LP. With Starchild’s production, KSB rocks the mic under Ripple’s ‘A Funky Song’ and proves in no uncertain matter that he can lyrically groove with the best of them. Classic and rare hip hop that stands the test of time, this was also subject to a very limited reissue in recent years on the Dope Folks label, proving again that there is always a hunger for original gold. 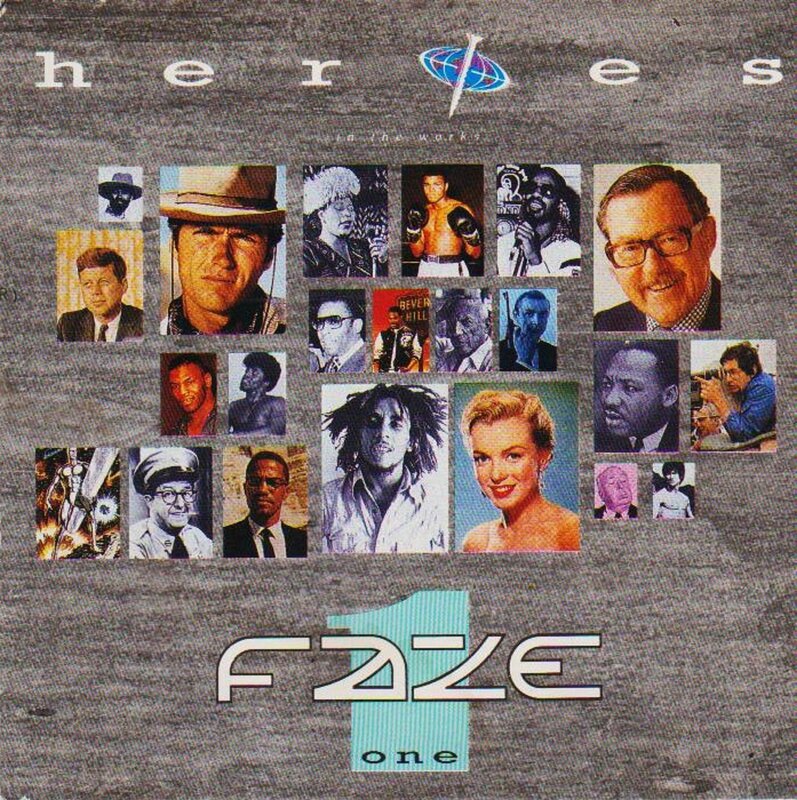 Faze One were a duo from North London who came onto the vinyl scene with a well promoted and received single before releasing an LP on Morgan Khan’s Westside label. Boasting the very first hip hop album by a UK artist the duo experimented with various styles throughout but never gained the respect they most certainly should have been due, rarely taken seriously at a time when the US market dominated. 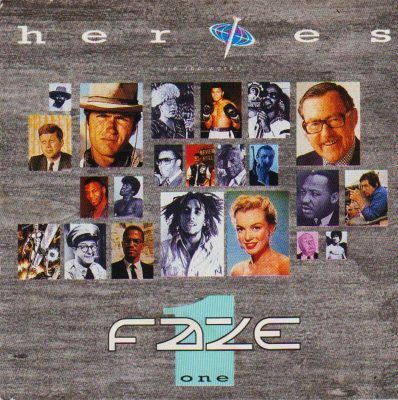 This track is from their LP ‘Heroes’ and is very much worth revisiting, containing numerous gems within. Samples are manipulated into something very different production wise and are clearly ahead of their time, Lee ‘Stepski’ Bennett and Odell ‘Genio’ Johnson’s impassioned lyrics breathing new life into something from the past. One half of Tuck Magazine. 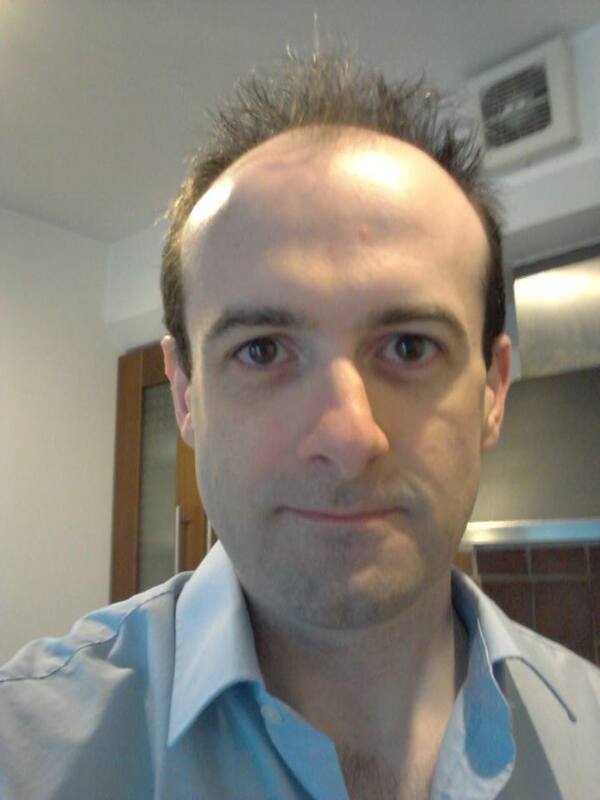 A music lover whose first record was a seven inch of Hank Mizell’s ‘Jungle Rock’ (or it could have been Pinky and Perky, the memory is a little hazy) and is passionate about all things music, in particular Oldschool Hip Hop, Rock and Roll, Dylan, Jazz, Led Zep and Blues; in fact anything and everything good.